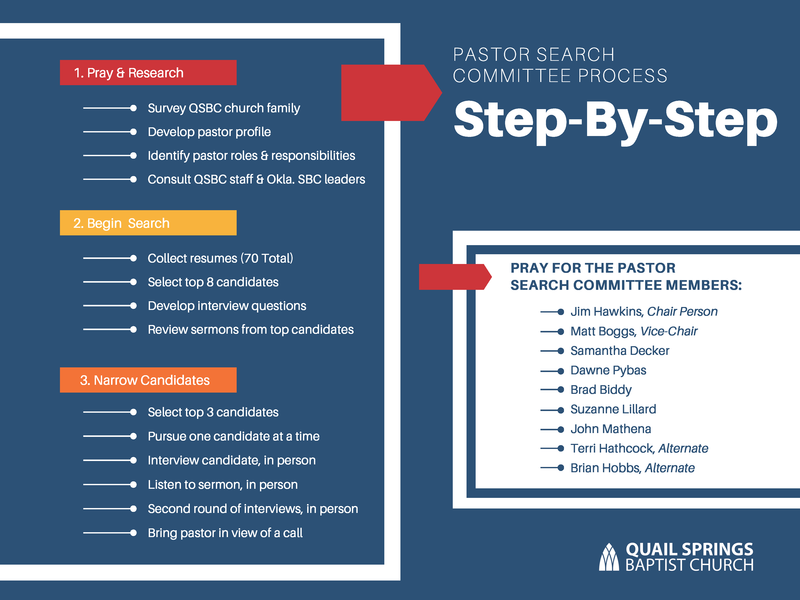 The Pastor Search Committee, in seeking a spirit of unity, clarity, and transparency, presents a process map that details actions taken since their first meeting on February 25, 2018 and future steps as they move forward. The committee is in the third and final stage of the search process, and are pursuing one candidate at a time until God closes the door. This particular stage requires increased confidentiality to protect the church of the candidate that is being pursued. Please continue to pray and support the committee as they seek the man God has ordained for QSBC.